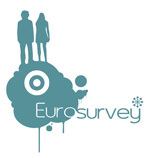 EuroSurvey is an official Intensive Programme (i.e. a short programme of study which brings together students and staff from universities in different participating countries) granted by the European Union within the framework of the Lifelong Learning Programme. During the EuroSurvey, which is focused on International Marketing Research, students develop a real international consumer survey (proposed by a real client) from the beginning to the end, comprising of: questionnaire design, response collection (through the Internet), data analysis and results presentation. Some lectures and workshops are organized to support the student during the IP. EuroSurvey was created within the activities of the Dukenet educational network and is coordinated by IMUS, the Institute of Management of the University of Savoie (France). 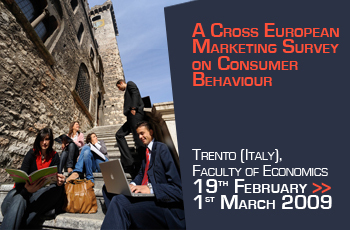 The EuroSurvey 2009 will be held at the Faculty of Economics at the University of Trento (Italy) from Thursday, 19th February to Sunday, 1 March 2009.